Your Account has not yet been Confirmed! A CONFIRMATION EMAIL has already been sent to your email address. Check your Inbox or Junk folder. If you don't find an email from us, please click below to re-send your confirmation email. Received on time. Condition was brand new as advertised. The coloring book and price was great but the shipping took longer than I expected. About one and half weeks. The Examkrackers Complete Package arrived Sealed in Brand New Condition! 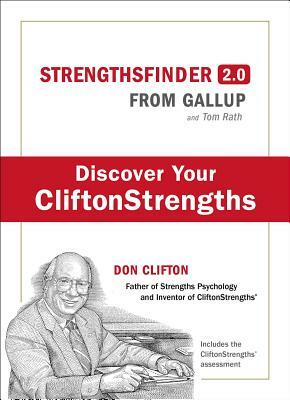 DESCRIPTION: StrengthsFinder 2.0 (Gallup Press; hardcover; February 2007) upgrades the assessment, making it more valuable to readers. As with the original assessment, the updated version is available online (http: strengths.gallup.com) and can be taken with a unique code that comes with each copy of the book. However, this updated version offers a more in-depth and personal analysis of one's strengths. It also offers perspective on how talents can emerge in different ways for each unique individual. You must be logged in to Prepbooks. If you don't yet have a Prepbooks Account, click here , and proceed to register. Copyright © 2019 Prepbooks, LLC. All rights reserved. The Prepbooks® Name and Logo are Registered Trademarks.